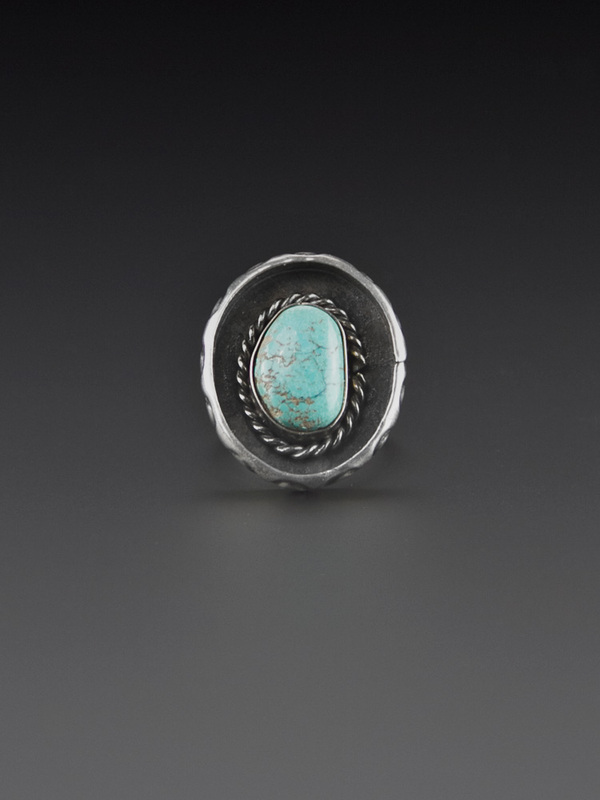 Stunning large turquoise vintage ring, Navajo, Native American handcrafted circa 1980's. 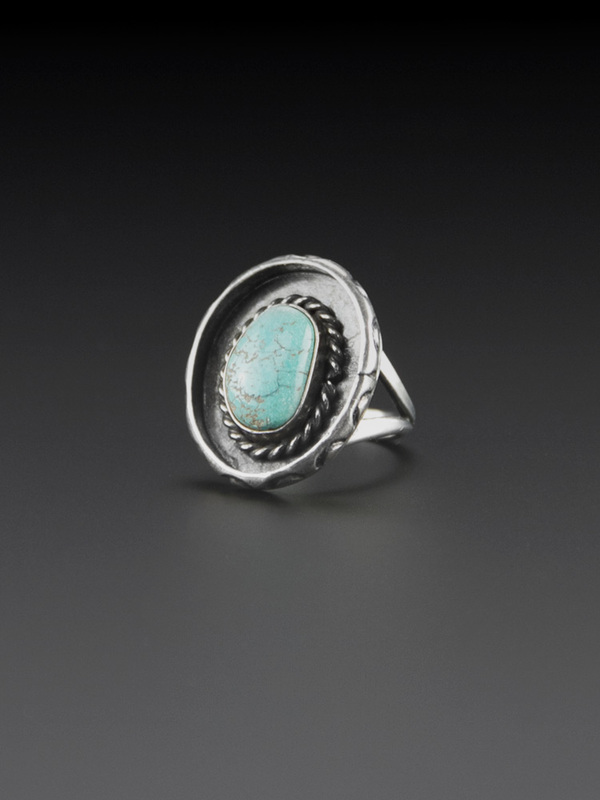 A striking raised shadowbox style with oxidised relief and raised polished natural turquoise nugget in a smooth bezel and rope setting, hand hammered design along the edge and split band shank. 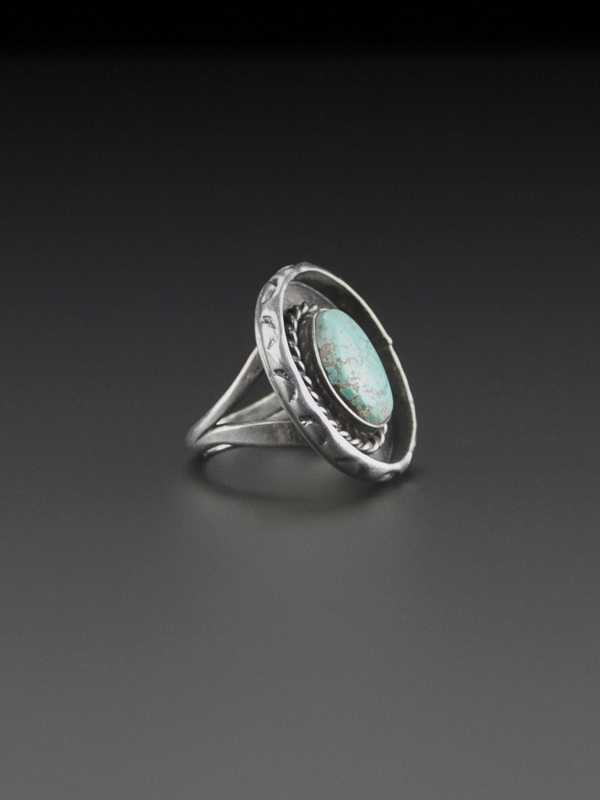 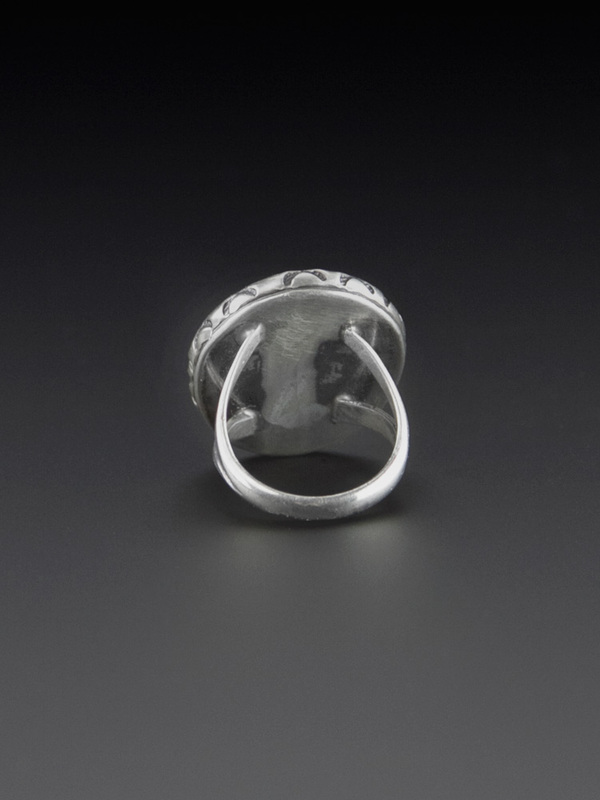 The tuquoise itself is a sky blue with a brown stone matrix - gorgeous LARGE vintage ring.